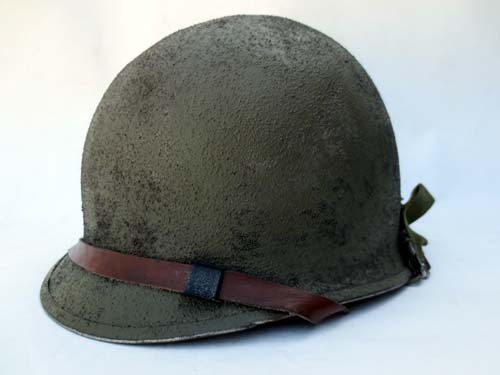 This helmet was restored to a Korean War configuration. Gravel was mixed into the paint to create an anti-reflective finish. 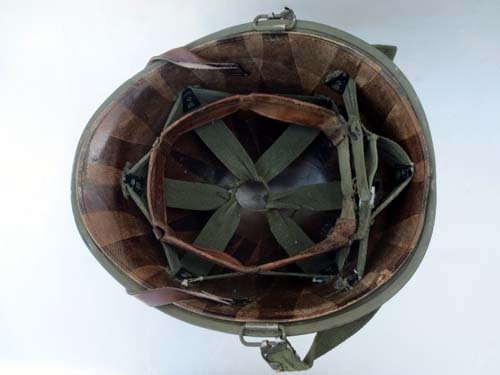 The liner is a WWII period liner that was re-webbed with darker green webbing during the Korean war era.